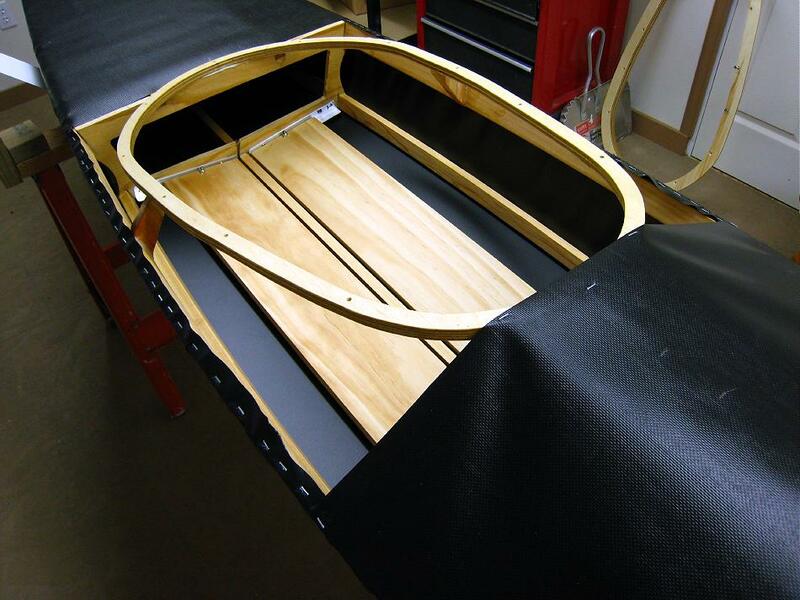 The forward deck skin overlaps the front of coaming by about and inch. Staple the skin to the coaming base plate as shown above. This holds the skin tight for gluing. Note also the staples at the corners of the PVC attached to the gunwales. Also, one staple is placed at the bow.